Kareena Kapoor and Tusshar Kapoor are best of friends and it appears the two are passing along the legacy of their friendship over to their kids - Taimur Ali Khan and Laksshya Kapoor. The babies are often photographed attending birthday parties together or at the pre-organized play dates by their parents. 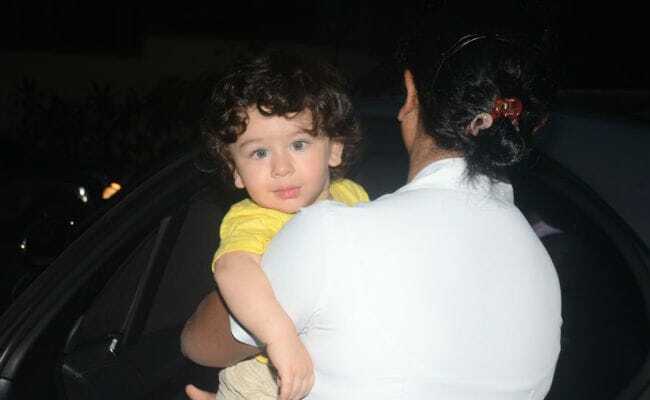 Just like on Thursday evening, when both Taimur and Laksshya were photographed in Bandra. Tusshar Kapoor had come to pick Laksshya, while Taimur was carried out by his nanny. 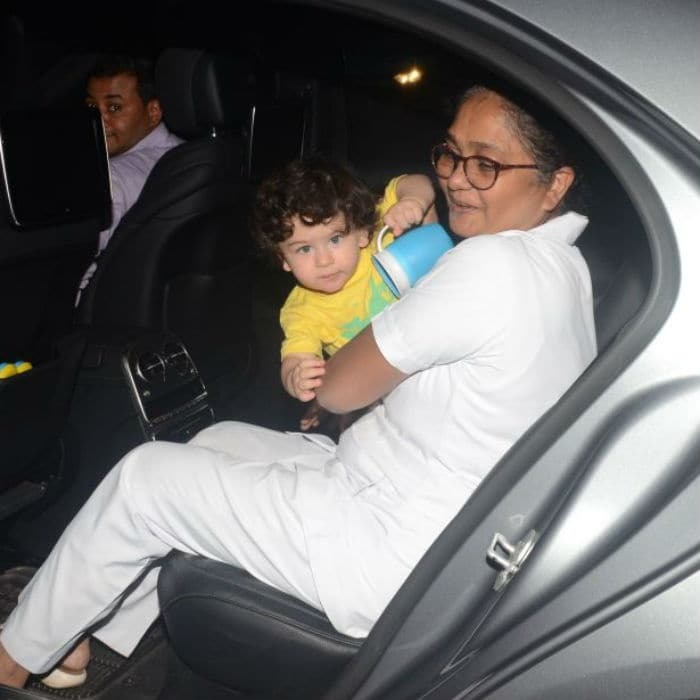 Tusshar tried convincing Laksshya to say hi to the camera but the poor soul was probably tired and looked worn out, while Taimur was all high-spirited and gave a tough time to his nanny as they seated in the car. It appears Taimur doesn't want to leave and play all night long. 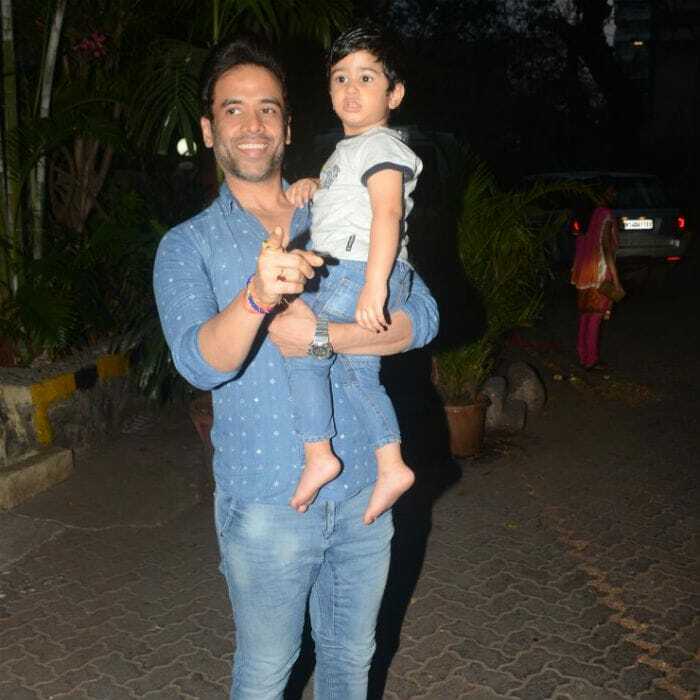 A single parent, Tusshar Kapoor is hands-on when it comes to taking Laksshay for birthday parties, play dates or even pre-school activities. His Instagram is filled with pictures and videos of his son Laksshay Kapoor. Laksshay is also his aunt Ekta Kapoor's favourite. As and when she gets him to pose with her, she definitely tells the world. Both Taimur and Laksshay are friends with Karan Johar's twins Roohi and Yash and of late they have attended several birthday parties together, including Roohi and Yash's and Adira's. Also in January, the little ones were spotted at a birthday party, where they appeared to have had a lot of fun. Taimur was born to parents Kareena Kapoor and Saif Ali Khan in December 2016, while Laksshya was born to Tusshar via surrogacy. Kareena returned to work after giving birth to son Taimur and will be seen in the upcoming film Veere Di Wedding, co-starring Sonam Kapoor and Swara Bhaskar.